Here you can't read all the shopping centre type descriptions. 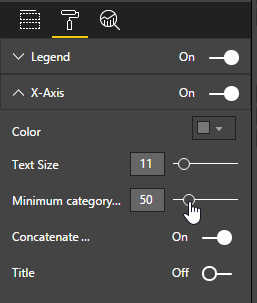 Here we've more than doubled the default minimum category width, from 20 to 50. 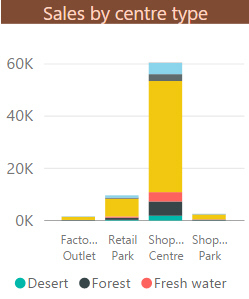 You'll now need to widen the chart to see all its categories. 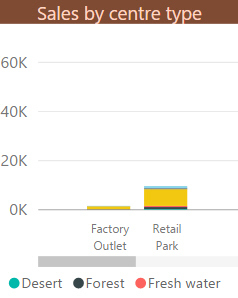 Note that if you filter the chart to show fewer categories, Power BI Desktop will automatically adjust the width of the categories for you.